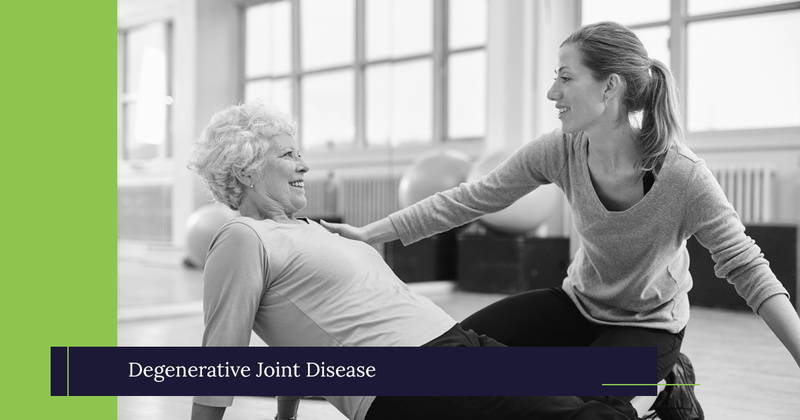 At The Spine Care Center in Manassas, we know that degenerative joint disease causes a variety of painful symptoms that can disrupt your life and prevent you from doing the things you love. We’ve created this page so that you can learn more about this condition’s causes, symptoms, and the available treatment options. If you are suffering from the symptoms of degenerative joint disease, then get in touch with our office today to learn more about how our experienced spine doctors can help. Degenerative joint disease is a natural part of the aging process, but that doesn’t mean that you need to live with the painful symptoms! Though degenerative joint disease cannot be reversed, an effective treatment plan can relieve symptoms and significantly improve your mobility. When you come to our office for an initial evaluation, your doctor will begin by asking about your back pain and any other symptoms you’ve experienced. They may also perform a physical examination of your spine in order to determine if the condition is limiting your mobility or contributing to any other conditions. They may also order an X-ray or MRI of your back, as these imaging tests provide them with the in-depth information about your bones and cartilage they need to make an accurate diagnosis. The highly skilled spine physicians at The Spine Care Center have helped thousands of patients improve their health and manage their symptoms. Our physicians have been recognized multiple times as Top Doctors in both the Washingtonian and Northern Virginia Magazine for their unparalleled commitment to providing each and every patient with lasting back pain relief. More than 90 percent of our patients are able to achieve long-term pain relief without resorting to spine surgery. However, if your pain is not relieved within a few months of treatment, spine surgery may be the best solution. Our expert spine surgeon, Faisal Siddiqui, MD, will assess your spine and your overall health to ensure that surgery is a safe, effective treatment option for you. His careful approach and in-depth knowledge of the latest minimally invasive spine surgery procedures allows him to provide his patients with low-risk surgeries and great outcomes. Take the first steps toward lasting back pain relief. Call The Spine Care Center in Manassas today or request an appointment with our spine doctors online.